In 2006 Amazon reported that over 35% of their sales were a result of cross-selling and up-selling offers, and it’s still working, not only for the eCommerce industry. It gives you the option of offering extra products or services right after completing the initial transaction. 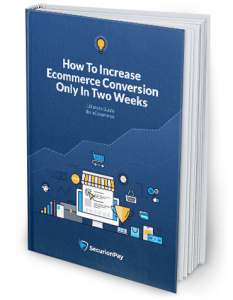 It’s a perfect solution for both large and smaller merchants, no matter if it’s an online store or a subscription business model. It also maximizes customer lifetime value. According to one Forrester’s research analyst, cross-sells generate an average of 10-30% of eCommerce revenue. In fact, the % of increasing sales can be different and depends on tons of variables. It’s about the industry, the things already being done or the right choice of displayed offers. Also, keep in mind the seasonal fluctuations. All in all, cross-sales always have an impact on the growing numbers of transactions and, watching our client’s performance, we can tell that the average increase is about 20%. In general, cross-selling allows you to present items related to the products customers are buying on your website. See how it works in the following example. You run an online store with electronic devices and wonder how you can increase the sale of smartphone accessories. Cross-sales let you display the offer of a phone case that supplements a smartphone, right after completing the initial transaction. You can also offer headphones or a Bluetooth speaker, etc. The point is to display offers with products related to the main order. It’s as simple as that. Always offer customers the items which will not over-cross their budget. So, when you’re selling a subscription for $120 and offer another one for e.g $50, it could drive up the total price and lower the chances to sell the additional product. Don’t offer products or services that add up to more than 25% of the overall payment. Look at the buying process from a customer perspective, and then it will be easier for you to set the best offers and grow your business performance. The customer value could be deciding factor. Don’t be pushy and don’t overuse the feature. See the short instruction on how to set cross-sales up between partners. You can, of course, combine services with the items, e.g when someone buys a computer, you can offer a subscription for anti-virus protection. There are a lot of ways you can add cross-sales to your website. With the plethora of tools available, it’s hard to choose the best one that will meet your needs. The good news is that you don’t have to spend time on looking for another solution to implement on your website. You have it in your checkout. When you use SecurionPay’s Checkout, you can add cross-sales quick and simple. It takes a few minutes and requires just one line of code. You don’t have to add anything new to your website in order to manage the payments with details from your SecurionPay’s dashboard. This means you’ll have complete control and clear information about selling items. See how to simply implement cross-sale offers on your website. Setting up cross-sales with a checkout gives you full control over the offers displayed. You’re adding the details yourself so it’s up to you how your offer will look in the end. If you present the offers as easy wins, it’s going to be hard for customers to say no. SecurionPay’s cross-sales let customers buy another item with a single click which adds convenience. After they complete the initial offer, they won’t have to enter their data in again. Just one click is enough. Easy, simple and conversion-friendly. Everything sounds great for companies with a variety of products. But, what about the businesses that have a limited number of products or services to offer? The best part about using cross-sales with SecurionPay’s Checkout is that you can not only offer your own products, but it also lets you set up the function between partners (who are using SecurionPay on their websites). This means you can create offers that other merchants can use on their sites and vice versa. You can also connect with partners in just a few clicks (see the entire instruction). Cross-selling works better for current customers than new ones who are not so interested in your products. So, imagine a situation where your partner’s customer makes a purchase and after sees a related product from your store. Will you take the chance? Connecting with partners lets you improve the visibility of your products among the “not yet customers”. All in all, you both benefit so it’s a win-win situation. Cross-sales give you the opportunity to create lots of different scenarios that meet your business’ needs. Don’t lose your revenue, add the feature to your checkout and watch the magic happen. Have questions about how cross-sales work with SecurionPay’s checkout? Don’t hesitate to e-mail us at [email protected].